If you feel that your floors could use some freshening up, feel free to take advantage of our floor polishing services. We are number one in this industry and work within London 7 days a week for your convenience. It is our experience that customers need to trust someone professional for this task and we are prepared with all the best polishing tools and techniques to bring your floors to pristine condition any day of week. You will be fascinated with our speedy solutions and competitive prices. If you are interested in getting a service like this, here are our contact numbers you can use to get in touch with us. Make sure to take a better look at our services below. Come and check our services out. We cover London and work flexible hours. We are available from Monday to Sunday and it is very easy to book a service. 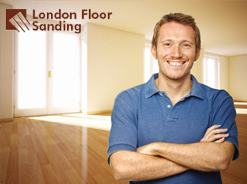 Starting at one corner, we will first polish the outside edges of your floor. During the process we will remove imperfections and marks. Then we will move to the main body of the surface, screening every square inch. We will try not to miss any areas. With this done, we will dust the area so that it is ready for the application of finish. We will apply a few even coats of finish over the surface, including the outside edges. When doing so, we will be very diligent. Your floors will have to dry before you can walk on them. Our polishing tools are cutting-edge, professional and effective. They are the best you can find on the market these days. We have plenty of them for various types of surfaces. 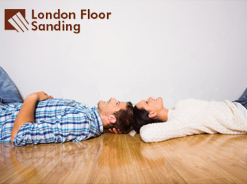 As a result, we can polish your floors the right way. The work is always carried out to a high standard and we guarantee you will be satisfied. Our service covers London. In order to learn more about us, be sure to contact our telephone assistants. They will schedule a service date and arrange any additional details necessary. You will be delighted with the results. Get a free quote now.